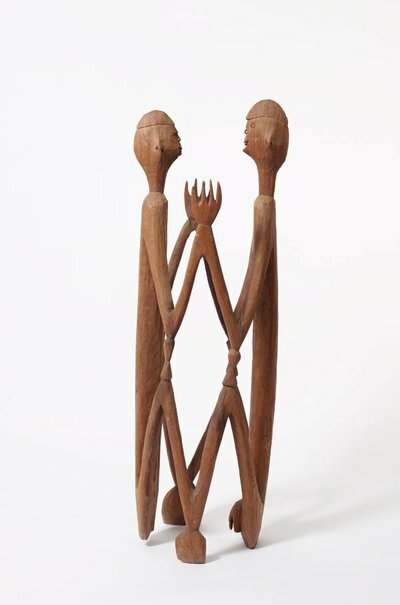 According to Asmat legend, wooden statues were first carved by Fumeripitsj who, by beating a drum, gave them life, thereby creating the Asmat people. As the statues were animated, their elbows and knees separated and they began dancing. In ceremonies today, including the consecration of new men’s houses, or 'jeu', men dance with their elbows against their knees, re-enacting the Fumeripitsj story and the transformation from wood to flesh. The stance is also reminiscent of the praying mantis, a symbol of head-hunting among the Asmat. 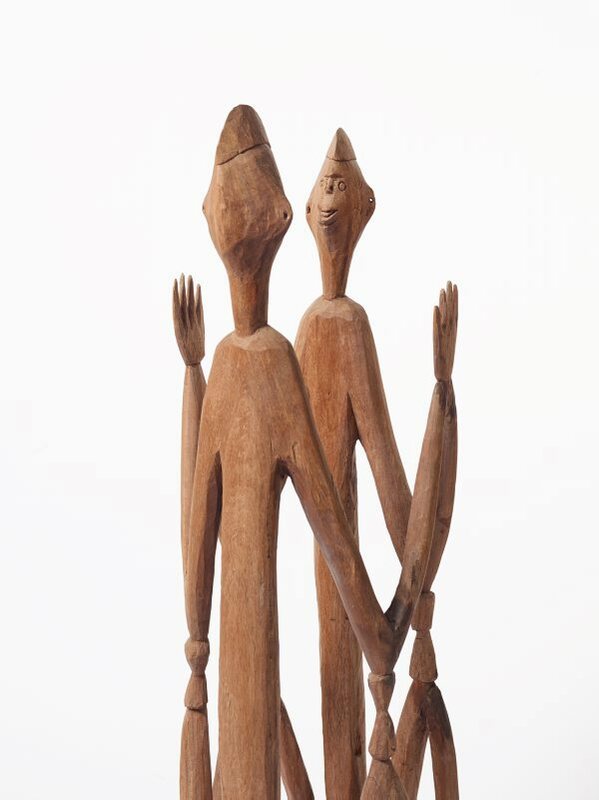 Wooden figure sculptures such as this would often be named after ancestors. 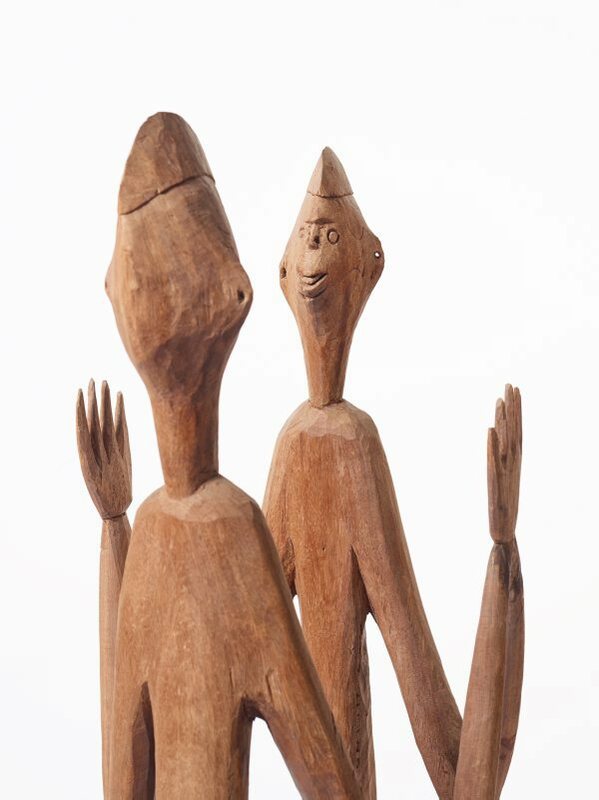 They are created by master woodcarvers, or 'wowipitsj', who are socially and politically influential. Helen Sweeney., Sunday telegraph , 'The week in art', Sydney, 01 May 1966, (illus.). 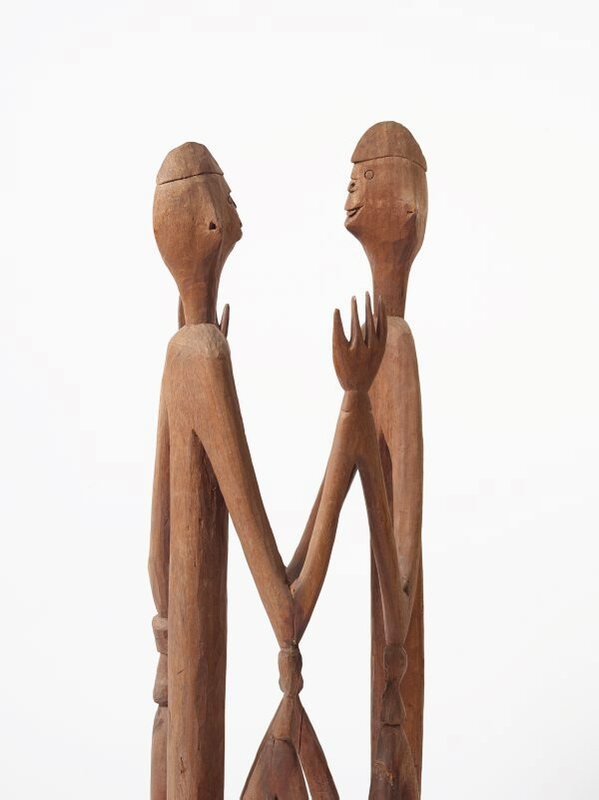 Caption reads: 'Two figures from South West New Guinea at an exhibition of Melanesian art at the Art Gallery of NSW', in 'What's on in art' section. Education gazette , Sydney, Dec 1966, front and back cover (illus. ).